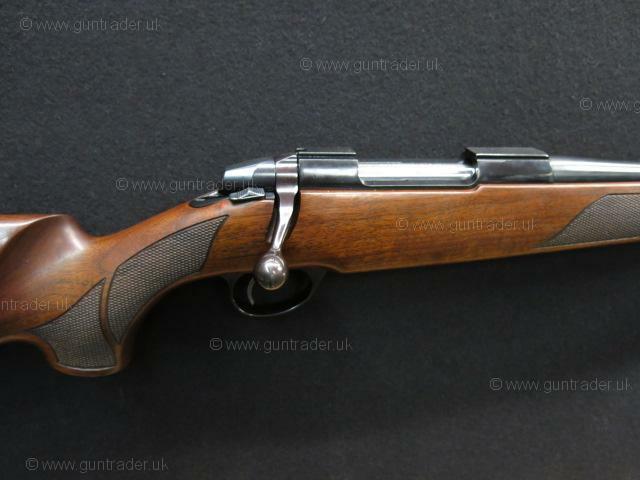 Very good condition Sako 75 Hunter Wood Blued bolt action rifle in .243 calibre. 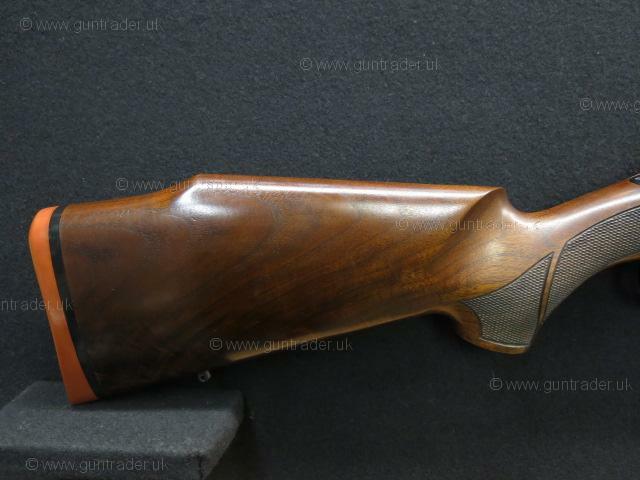 Well figured oil finished pistol grip stock fitted with a large Silver's style rubber factory heel pad, the stock also incorporates a rolled over right handed cheek piece. 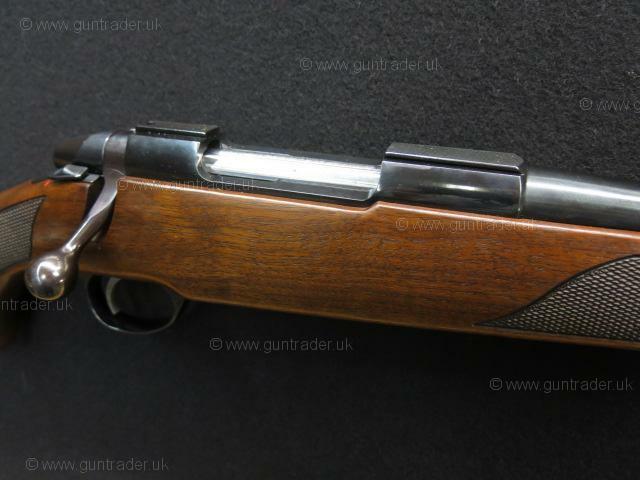 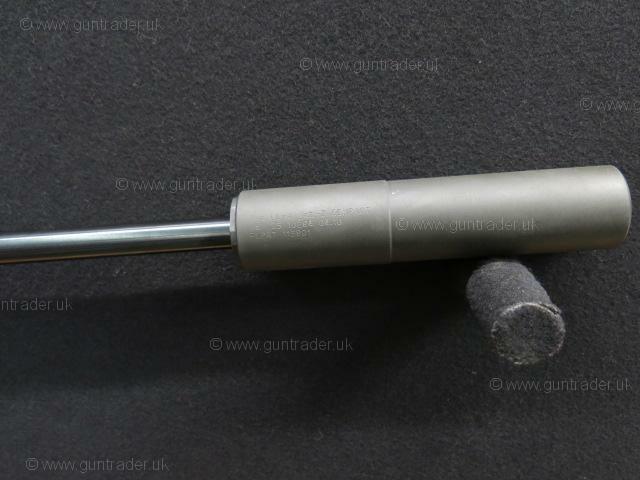 Smooth blued 75 III bolt action set alongside a standard weight barrel which has been screw cut 1/2"UNF and comes complete with an ASE JetZ Compact sound moderator, we have inspected the bore with a Hawkeye bore scope and all appears to be in very good condition. 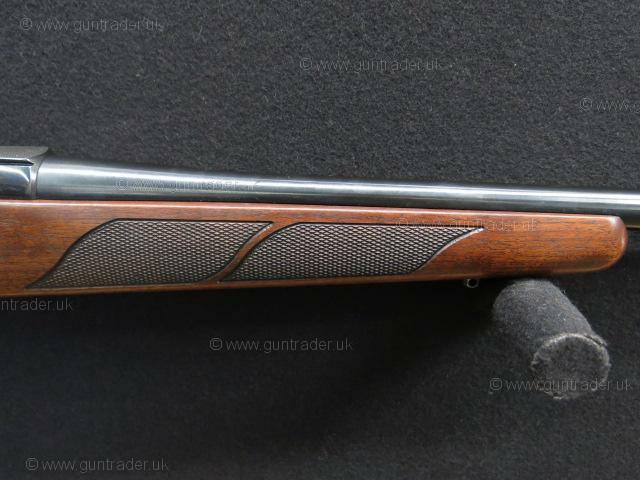 Crisp clean rifling with no signs of pitting or damge, the previous owner has really looked after this classic Sako rifle. 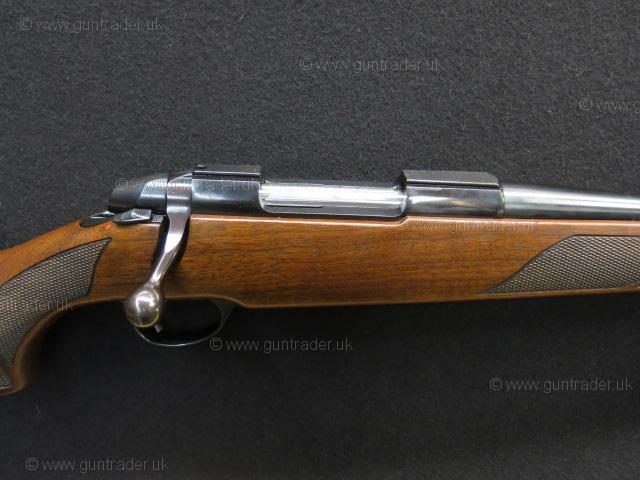 Adjustable single stage trigger unit, detachable five round single stack magazine, a scope and scope mount discount package can be added to this rifle if required at extra cost.